Home Bitcoin Lightning Network – the last chance bitcoin to become fast. How it works? 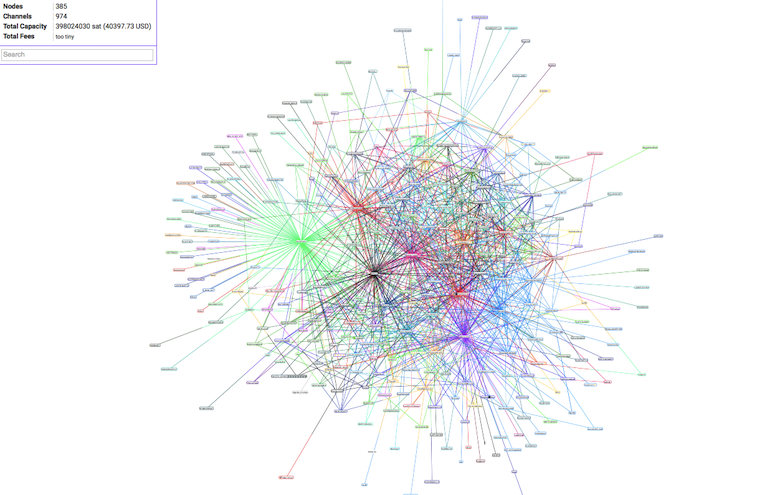 Lightning Network – the last chance bitcoin to become fast. How it works? Bitcoin has two troubles: the time of transactions and their cost. The inability of the network to withstand heavy loads led to the fact that the commission for sending the payment in 2017 increased by more than 23 times and at the time of publication of the material is about $4.5 – it is unacceptably much if you compare bitcoin and altcoins. To facilitate the life of network users, the instant payment technology with a near-zero commission is called the Lightning Network. The Alt-Coins.TOP edition tells what this technology represents, and how it will help bitcoin compete in the speed of transactions with the rest of the cryptocurrency. Lightning Network – a technology that allows you to transform any cryptocurrency into a fast and reliable means of payment with minimal fees. It was developed by two programmers: Joseph Pun and Taj Driya in 2016, the active phase of testing and launch began only in late 2017. The Lightning Network is planned to be used to conduct micropayments in bitcoin (and other crypto-currencies) and unload its primary network. Thanks to the use of this technology, the number of transactions per second can increase by hundreds of thousands of times, and the transfer fee will be reduced to minimum values or will be zero at all. A typical transaction on the bitcoin network looks like this: the sender wants to transfer a certain amount to BTC to the recipient and, for everything to go smoothly, he must pay a considerable commission that leaves to another member of the network as a reward for including the transaction in the block. The transaction becomes in the queue – the sender and receiver are waiting for it to be written to the block, and only then receive the final result. All this is a side effect of small block size (only 1 MB for a bitcoin network) and a huge number of transactions in the queue. 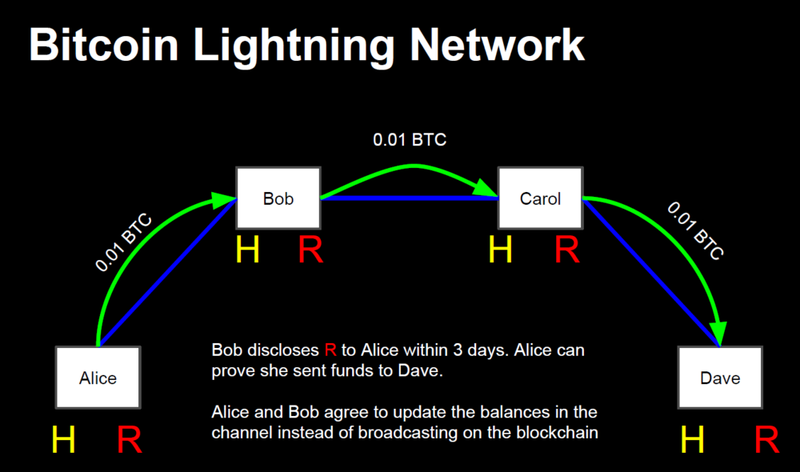 Lightning Network solves this problem with the help of so-called “payment channels.” The technology allows you to configure individual networks between two participants of the main network, whose internal transactions will not be recorded in the block system, but only stored within the channel network. This means that users can make as many transactions as they want without having to download the main network. The idea is realized with the help of smart contracts, roughly speaking, repayable debt receipts with multi-signatures. When working on such a scheme, only the fact of opening and closing the channel with the specified initial and final balance of the parties is recorded in the block, and all transactions that passed through the channel do not take place in the block room. Such a network can work not only with two participants – it easily scales to any size, connecting senders and recipients by a chain into one channel, choosing the optimal route. An important point: the network sends through the channels not funds, but only information about their ownership, that is, the receipt mentioned above, because for the opening of the channel, the parties will need to deposit a certain deposit. Despite the fact that participants pay a commission for conducting a transaction twice (upon opening and closing), they will be able to make payments without commissions inside the channel for an infinite number of times. Each transaction with data on the size of deposits of the parties is not prescribed, but the scheme of work remains safe. It is understood that only the last signed balance is used to unblock money, a copy of which has both sides. Thus, you can unblock funds at any time, even if something went wrong. The main sphere of application of the Lightning Network is the crypto-exchange exchanges. Now some of them offer the possibility of transferring funds between registered users with a minimum commission, and even without it at all. This is possible thanks to internal processing systems, where the exchange is a trusted person. Such a system does not require the sending of data to the block system. Therefore, it lowers the primary network and allows to conduct transactions much faster and cheaper. Lightning Network, in this case, can act as a processing system for all existing exchanges, allowing you to send funds between purses without having to write transactions to the blocked account. The advantages of such a system are undeniable for all parties: this will help to level the exchange rate between exchanges, and also to raise the volume of trades by increasing the activity of users. Lightning Network can also be used in online games with their inherent microtransactions, for processing online payments in messengers and other applications, and even for torrent systems, in which peers and siders will act as sellers and buyers. The launch of the Lightning Network is promised to be held this year, which could be the biggest event in the blockbuster industry. Activating a new network can also affect the popularity of some altcoins, which already offer faster and cheaper transactions, such as Litecoin, Ethereum, Dash, Waves and Bitcoin Cash.